It’s one of the classic debates in comic book circles: if Batman and Superman got into a fight, who would walk away? Copyright belongs to DC Comics and Warner Bros.
A lot is being said about this new movie, and I won’t spoil the outcome, but the critics and “comic book authorities” are certainly losing. That’s because for reasons I cannot understand, they are hating on one of the greatest, most thrilling, best-balanced comic book movies in recent memory. It’s a long movie, and requires an investment of time and attention. Come to think of it, maybe that’s enough reason for it to not “click” with the Twitter generation. (I doubt even the Lord of the Rings movies would be allowed to run for three hours to tell their own stories, if they were being made today) But the payoff and literally Earth-shattering developments are well worth it. The consequences of the almost-as-underrated Man of Steel are intelligently dealt with, and feed into this one’s storyline naturally. It plays its numerous elements like a rip-roaring symphony, to an effect that reminds us all what the word “epic” actually means. 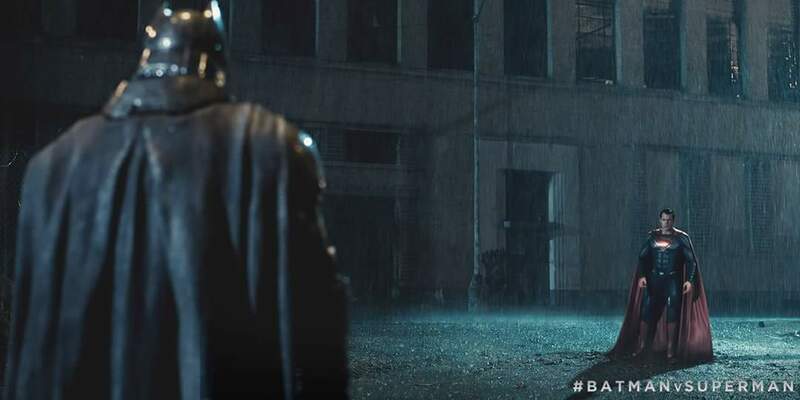 Both Batman (Ben Affleck) and Superman (Henry Cavill) get the space they need to tell their stories, plus the villains and secondary characters get plenty of time to shine, so I don’t get why people are saying the movie and plot are underdeveloped. Frankly, it’s an absolute miracle this movie gets so much right, considering the fact that it crams in enough plot for three films. In addition to the two title characters, there is Wonder Woman (an undeniably awesome Gal Gadot), Lex Luthor (Jesse Eisenberg, providing the scariest and most deliciously unhinged take on Luthor since Kevin Spacey), Doomsday, and several others beside. If there was anything that didn’t quite work, it was the extra attention given to all the setup for the Justice League to come together. But that setup is still tantalizing and just plain cool, and I say that as someone who’s never read a Justice League comic. There was always something fishy about the overreaction against Ben Affleck. Sure enough, he makes an entirely believable and human Bruce Wayne, a bitter man with all the trust burned out of him by two decades of fighting “freaks dressed like clowns,” who would be exactly the sort of man to assume the worst in Kal-El/Superman and take a stand against him. He is arguably one of the best incarnations of Batman ever put on screen. For those who have groused about Superman not being the perfect Boy Scout of the Christopher Reeves movies: remember in Superman II when he gives up his responsibility of saving lives and defending Earth so he can sleep with Lois Lane? Not exactly the spotless paragon everyone talks about. Cavill makes perfect sense as a Superman who struggles with doubt, but is still trying to be an authentic hero in a world that has all but given up on morality, and often looks with suspicion on the exact people who have the courage and conviction to do what we all know to be morally right. I have been given plenty of reason to distrust the critic community already, but quite honestly, this is also a reason to distrust the comic book crowd as a whole when it comes to appreciating a great story. They’ll love a comic book film just because it’s an exercise in snark and mean-spirited flippancy (exhibit A: Deadpool) and make fun of Ben Affleck for being disappointed at the negative response. It seems nothing else will be good enough for them. Remember, this is three movies in one. But it works. Do yourself a favor and go see it, and don’t let all the parroted hatred toward this incredible film stand in your way. 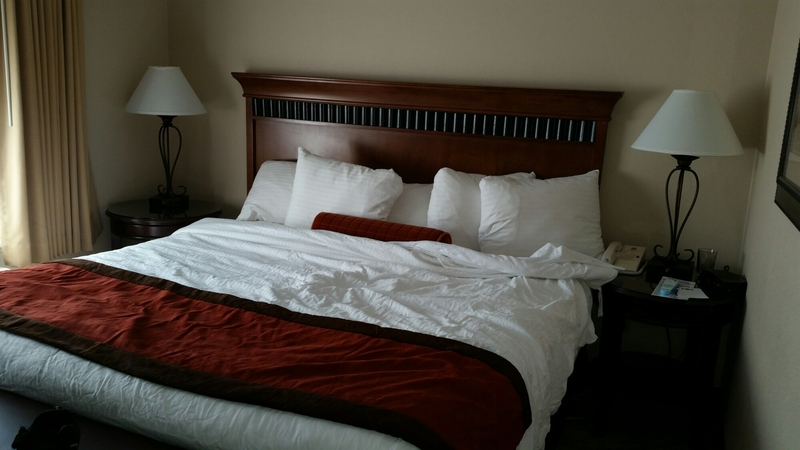 After more than a year of anticipation, I got to finally spend a night at the famous “Dinosaur Hotel,” the Best Western Denver Southwest. 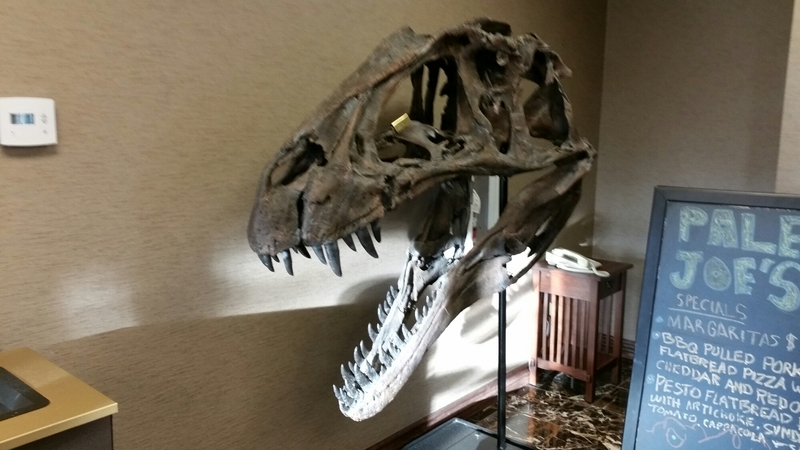 Acrocanthosaurus skull, a giant carnivore that hunted the long-necked sauropods. 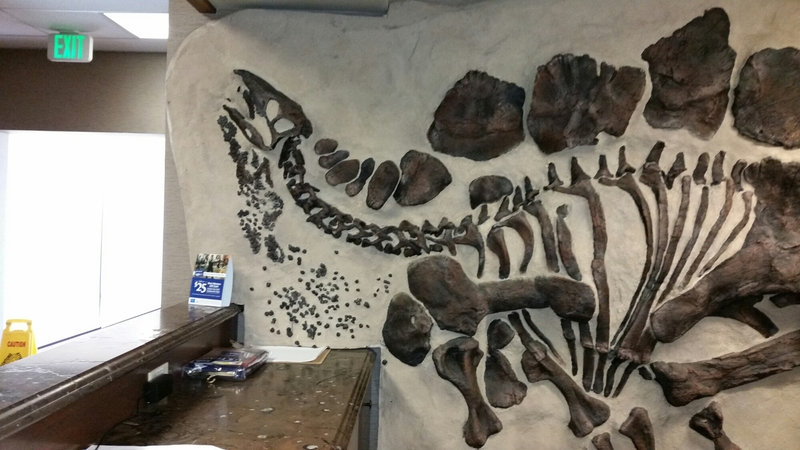 The place is chock full of stuff that will make a paleontologist’s heart sing. 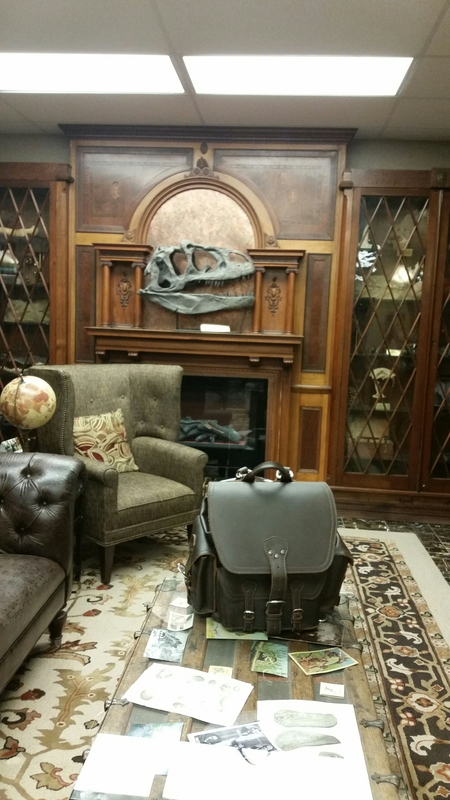 Dinosaur skulls and fossil displays are all over the lobby, which is made to look like a turn-of-the-century explorer’s den, complete with an Allosaurus skull on the mantelpiece. The only way this could look more awesome is if it was a stuffed and mounted Allosaurus head, but those seem to be in short supply. 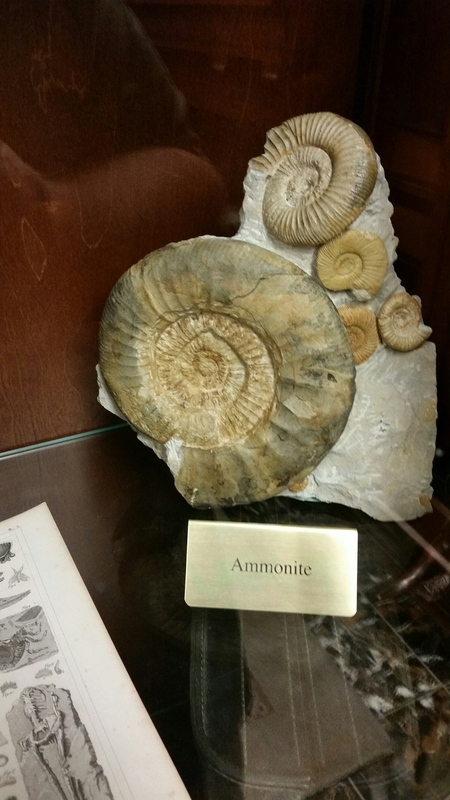 There’s a paleontologist who will be there in the mornings to answer all sorts of questions about prehistoric life, the continental breakfast is excellent (especially considering the fact that they have waffles), and there are more fossils on display than in some natural history museums. It’s spectacular. 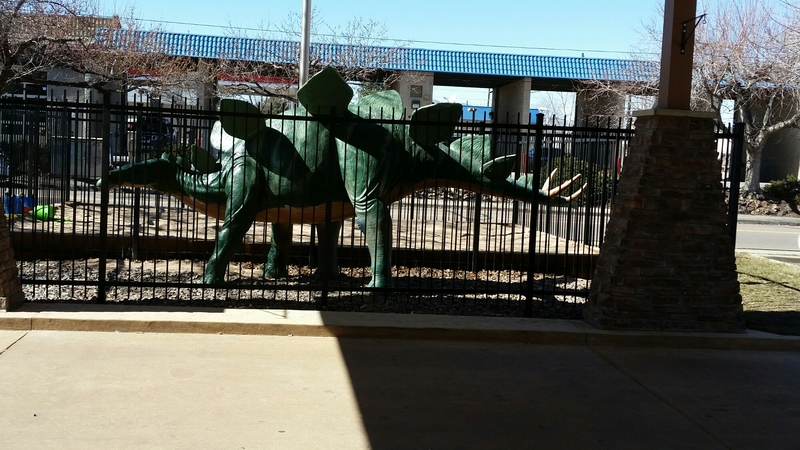 Beware of Stegosaurs reading over your shoulder. If you are in the Denver area, this would be a great place to stop by for the night! 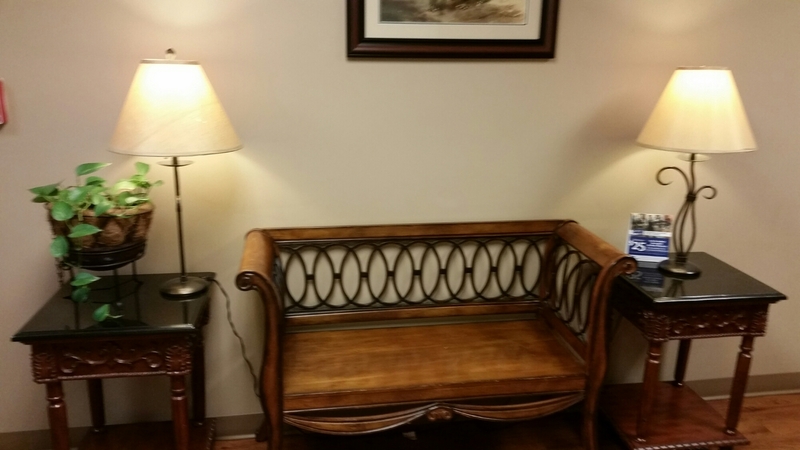 You’ll be glad if you go check it out. Greetings, everyone! The last couple of months have been more hectic than an ant colony that just found a spilled can of Mountain Dew, but things are going pretty well. I got to see The Hobbit: The Desolation of Smaug last week, and all I can say is…wow. Okay, I can say a little more. It’s brilliant. The first film’s weaknesses (which were mostly negligible) are pretty much gone this time around. The story moves at a faster pace, even to the point of feeling too short. The characters have many chances to shine (and in the “barrels on the river” scene, Bombur has a moment of glorious hilarity). Tauriel and Legolas may not have been in the book, but who cares when their perspectives add so much to the tale? And of course, there’s the dragon. Smaug is very much the star of this movie. He’s so cool-looking, and makes an incredible villain — simply put, he’s a work of terrifying art. Not only is he the best dragon ever put on film, but this is the greatest dragon movie ever made. Move over, Draco and Vermithrax. Seriously, go see it if you haven’t already. Oh, and there’s also some new artwork I have been doing. 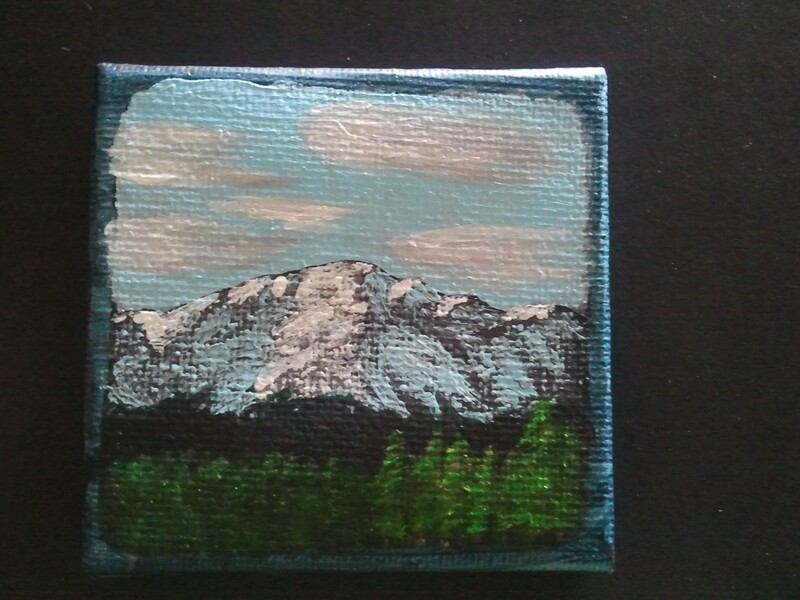 Mini canvases and acrylic paints are godsends, because they give an aspiring artist the chance to try out many techniques and have a finished work sooner. They’re a good way to build up one’s portfolio. I’ve even got clients. 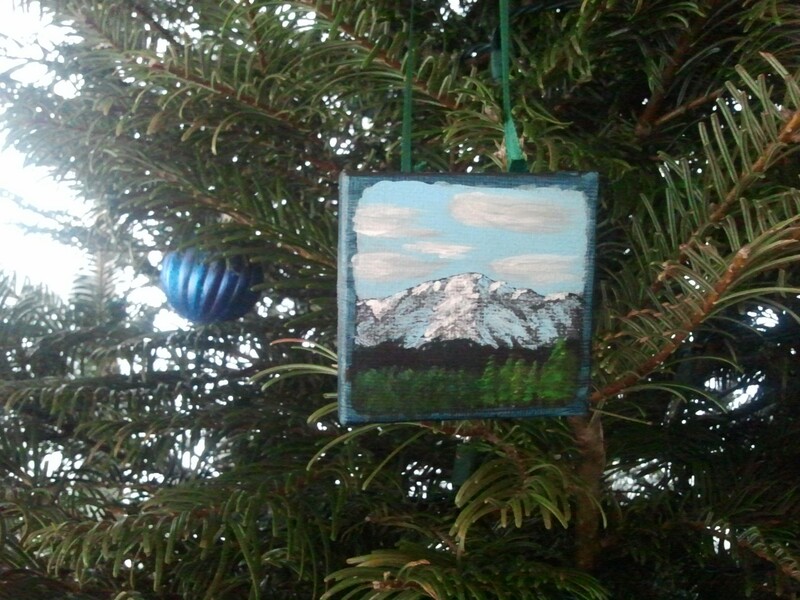 If you asked me six months ago if I’d have clients paying for artwork ($10 for the mini paintings, for the moment), I would have laughed you off. Life holds many good surprises; I’m just trying to process this one. 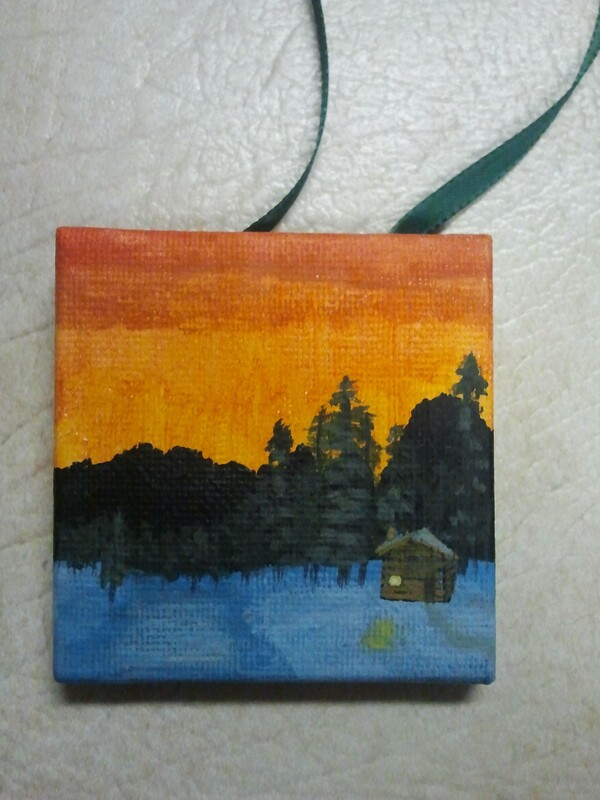 The mini paintings also make neat Christmas ornaments! 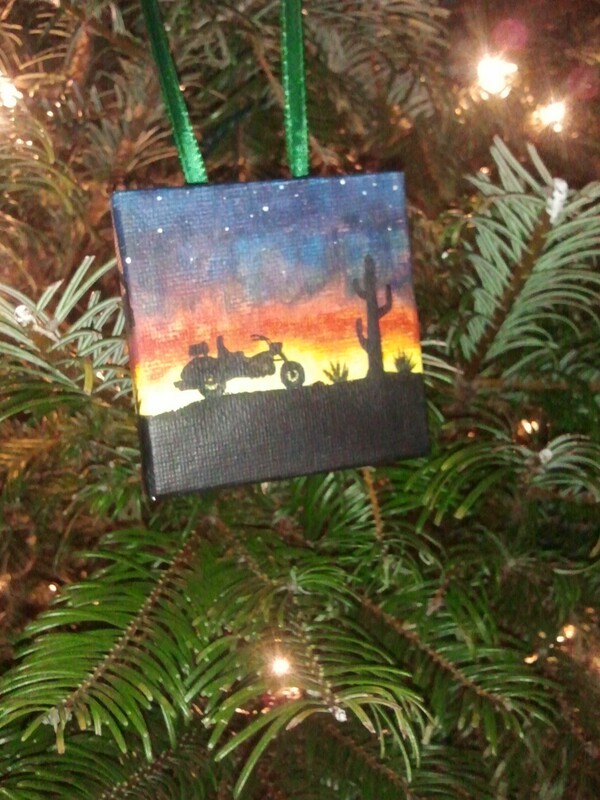 “Desert Hog,” done as a Christmas present for a friend who kindly gave me some new art supplies. I hope you all have a Merry Christmas and a blessed New Year. Well, I am back from seeing The Hobbit: An Unexpected Journey. What did I think of it? Run like the wind to the cinema! Go! Now! Peter Jackson and company have taken us back to Middle Earth, which of course is already a compelling reason to go see it. But they also fulfilled my hopes and dreams, doing justice to Tolkien’s timeless book while adding layers to the story. I was grinning through most of the film, and was completely enraptured. The performances are astounding, especially the main three: Martin Freeman is Bilbo Baggins, Ian McKellen is back and amazing as ever as Gandalf the Grey, and Richard Armitage holds his own as the charismatic, intense king of the Dwarves, Thorin Oakenshield. Andy Serkis delivers a Gollum that is even more convincing and remarkable than the one in the trilogy, if that was possible. Of course, the special effects and landscapes are beyond beautiful (New Zealand is proof that there is a God). The Dwarves are by turns hilarious and rip-roaring awesome. Howard Shore delivers a terrific musical score that stirs the heart and puts visions of dragons and fires and grand adventures in your mind. Really, must I go into detail? It felt like going back home. I could hardly be happier with the result. In fact, I have to confess something that might be blasphemy: I liked it more than the book. There are fewer times when Bilbo is saved by “sheer luck.” He has to rely more on his own wits and the assistance of the Dwarves or Gandalf to get him out of sticky situations. Plus, all of the extra stuff they’re pulling in from Tolkien’s appendices gives the movie a greater epic quality, and heightens the stakes of the main adventure to the Lonely Mountain. Of course, it seems as if some aren’t nearly as delighted about it. Critics and nerds across the world are in fidgeting rage over this film. Did they kill Gandalf at the end? Nope. Is Smaug the dragon wearing a tutu? We don’t see much of him, but I didn’t notice any pink lace. Evidently, the reason everyone’s tying their undergarments in a slip knot is the deliberate pace of An Unexpected Journey. Yup. A deliberate pace. All right, if your heart attack is over, I’d like to calmly explain why this shouldn’t earn the movie a paltry 65% on Rotten Tomatoes. Peter Jackson’s Middle Earth movies require an audience who is in it for the long haul. The beginning of this film does require a little patience. And the scene with the three trolls around a campfire, though fun and funny, might have benefited from a bit of extra editing. I grant that much. But why should these count so heavily against the film, when Jackson has made it clear that he will be spinning a much larger tapestry than what Tolkien’s children’s book alone could hold? He is fleshing out Middle Earth itself, casting light on the milieu of Tolkien’s astounding creation. Given such circumstances, I find a nice slow beginning not only acceptable but arguably necessary. It’s the same reason I didn’t object in the slightest to Return of the King having “too many” endings. I’d just seen ten hours of an epic story unfolding through three movies and dozens of characters. There had better be a lot of endings, so we can be satisfied that each character and subplot gets some kind of resolution even as the larger tale slowly draws to a close. 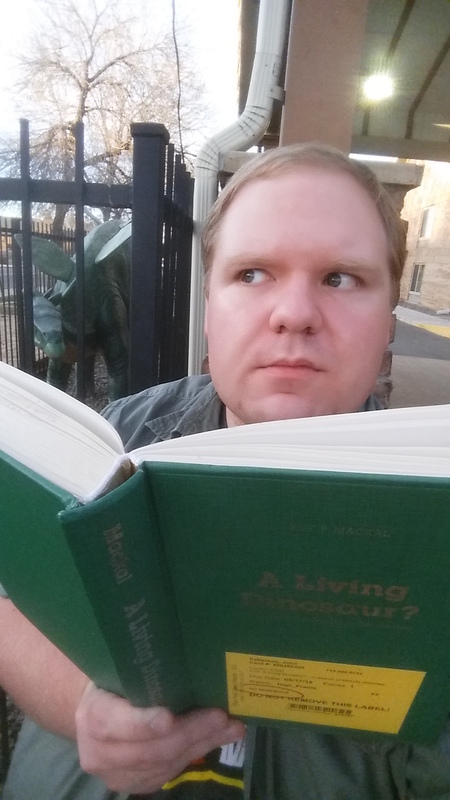 I’ve been going through Orson Scott Card’s book Characters and Viewpoint (which I highly recommend), and one of the latest chapters I’ve read devotes several paragraphs to showing how Tolkien is a storyteller who focuses on the world, fleshing it out to show us a place so convincing and detailed, you believe it might actually exist. Tidy narratives and compelling characters do sometimes find a place in the setting, but the attention is on Middle Earth itself. This is even true of The Hobbit as a book, which is a shorter adventure tale. Even here, where the plot is much more reined in than Lord of the Rings, Tolkien takes his time to show us the people of Dale, outline the customs of Hobbits, flesh out the family line of Bilbo Baggins, and makes us feel the anguish of the Dwarves whose mountain and treasure has been cruelly stolen by the dragon Smaug. Even here, Tolkien makes the world as much a character as Gandalf or Bilbo or Thorin. The director and writers are taking their time to set the stage for a grander story, a story I can’t wait to see unfold. I have come to trust this crew of people, given what they accomplished with Lord of the Rings. If they want to tell a larger tale through this new trilogy, they are more than welcome to do so. Well done, ladies and gentlemen. You have delivered one of the greatest movies of the year, and you captured my imagination all over again. On the Colorado writing scene, there are many fine talents and local stars. I have had the great privilege to read two of the books on that scene in recent months: The Never Prayer by Aaron Michael Ritchey, and The Whitefire Crossing by Courtney Schafer. Today, I finally get to review them for you. In short, both novels are excellent, and I highly recommend them if they sound like your kind of books. 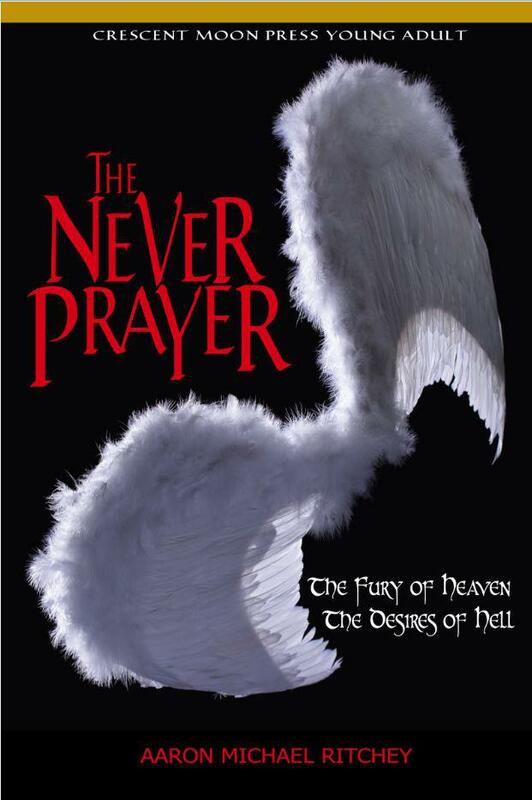 The Never Prayer by Aaron Michael Ritchey is a YA urban fantasy novel that hits harder than most in that genre. Teenager Lena’s parents died in the aftermath of a car crash, and she is trying to support her little brother in a small Colorado town that is facing hard times of its own. Lena is desperate to bring in money, even if it means being courier for some drugs at her high school. Things go from bad to worse when she winds up in a tug-of-war between a demon and a “fallen” angel as they try to influence humans, pushing them toward good or evil. I liked how Ritchey keeps Lena’s head above water in terms of social status. She’s unique, and a lot of people feel sorry for her or don’t like her, but she’s not a complete outcast, and can adapt well enough to move through the various cliques of her school. He also does a terrific job at giving us reason after reason to care for Lena’s plight without turning her into a pitiful mess. She is simply trying as hard as possible to provide for what’s left of her family, and that makes her a character worth cheering on. You also have to admire his willingness to admit that doing the right thing is often the most painful. There are consequences you may not want when you make the right choice, and he pulls no punches in having his characters glean that lesson. The book is kept intriguing along its journey, even when you realize the trajectory it’s taking, and it hit me with a strong ending I did not expect, but played fair with the rules Ritchey had established. If there was a complaint I had, it’s a minor one. Lena seems very quick to accept that she’s part of a supernatural conflict. Even though the angel is revealed in a dramatic fashion right beforehand, most likely she would still have a harder time taking in the change of circumstances. But that’s hardly anything but a nitpick, so don’t let it stop you from picking up a copy of Ritchey’s remarkable debut novel. This book is dark, thrilling, and thought-provoking, and I am more than happy to recommend it to you. I can’t wait to see what else Aaron has in store. It can be a tricky situation if your freshman novel is an epic fantasy. Most of the time in that situation, an author succeeds by coasting on a few great strengths, but the book’s quality is dragged down through equally strong weaknesses (for example, you might get a book with great dialogue and worldbuilding, but its characters are flat and the storyline is confusing). And it’s easy to make the work derivative, giving regular readers of the genre very little reason to pay you any attention. 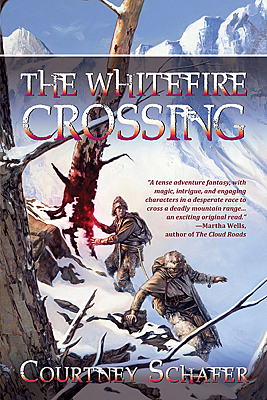 Thankfully, none of that is an issue with Courtney Schafer’s debut The Whitefire Crossing. This is a book I cannot recommend enough. Seriously, if you read fantasy books, please read this one. Pretty much every aspect of it sings with quality and dedication. The story is one that hooks you right from page one and keeps you invested through the next three hundred, the worldbuilding is excellent when it comes into play, and the characters are absolutely satisfying in their depth and choices. The story has two viewpoint characters, equally captivating and relatable. First there’s Dev, a smuggler who takes magical charms from the city of Ninavel, across the Whitefire Mountains and into the country of Alathia. Mages rule Ninavel like sin rules Las Vegas, but in Alathia almost all magic is outlawed, so Dev finds steady work in “clandestine imports” of magical items. Only problem is, he’s been cheated out of his money, and he’s taking anything he can get to fulfill a friend’s dying wish. The second viewpoint character is Kiran, a mage who is desperate to hire Dev to smuggle him across the mountains and into Alathia, the one place in the world where Kiran can escape and hide from a vicious authority figure. To call this an “adventure novel” might be downplaying the tough journey Dev and Kiran take together. They suffer through this story, and no decision is an easy one. Normally I don’t care for novels that are quite so ruthless toward their characters, but Whitefire was such an enrapturing, detailed, and fast-paced book I had to keep turning the pages. One of the best strengths in this book is the magic system Schafer has set up. Based around simple or familiar things in fantasy magic, like blood, charms, runes, and metals, she constructs one of the most intelligently built magic systems you’re likely to find. For a worldbuilding nut like me, it’s a delight to see her lay out the rules of magic, usually in bite-sized chunks that don’t slow down or halt the story. She keeps things moving, and gives you a chance to learn a lot of her world along the way. If I told you anymore, I’d probably risk contaminating the enjoyment and level of surprise that this book delivers. Schafer’s debut is a strong one, and she is certainly an author to watch in the coming years. Plus her sequel The Tainted City has just been released, and I can’t wait to get my copy to continue Dev and Kiran’s story. The ravishingly beautiful Lynn Collins, in the role of Dejah Thoris — fighter, princess, and scientist extraordinaire. In fact, there are quite a few changes made from the book that I appreciate. As I understand it, Carter was sent off to Mars in the books by some vague form of astral projection, whereas the movie gets him there by letting him find an alien device in the right place at the right time. Much easier to grasp, and it seems more plausible in its execution. The character development was also exceptional, and I loved the updates everyone received. Everyone feels more…well, human. Dejah Thoris, a beautiful princess and Carter’s eventual love interest, is now also an accomplished scientist and a talented warrior. Actress Lynn Collins brings the princess to life and makes the character entirely her own, showing her as a strong and dedicated woman with heartfelt moments of vulnerability. Taylor Kitsch plays Carter with restraint and dark charisma. He is the loner who believes in more than he thinks he does, a man who wants to make up for past mistakes and find a higher cause than gold prospecting. Willem Dafoe excels as the voice actor for Tars Tarkas, a green Martian warrior who is by turns enthusiastic, desperate, funny, and committed to protecting the people he cares for. And I was fascinated with their decision to have Carter tell his story to a fictional version of young Edgar Rice Burroughs, thereby inspiring him to become a writer and giving Burroughs an intriguing role in the story’s climax. Given the changes made to the storyline of A Princess of Mars and integrating elements from the next book, The Gods of Mars, Burroughs’s presence in the story actually works by tying together what could easily have been a lackluster, uninspiring resolution. A note to fans of the books: though I loved the film’s changes, I mean no disrespect to Mr. Burroughs. Like Tarzan, his most popular work, his Martian story is still one of the must-read works of fiction from the early 20th century. And another of his books, The Land that Time Forgot, helped inspire me to become a writer. I certainly wouldn’t be where I am today without Edgar Rice Burroughs. What shocked me most was the emotional involvement I had toward the story unfolding onscreen. When we discover Carter’s tragic past and see him resolve to protect others, or see Dejah on the edge of tears with no idea of what she should do to save her people, it struck me in a way I never expected. Other movies with deep characters have impressed me, but I am still in the early stages of learning how to involve myself in their lives. Normally, I still watch those people struggle through the story from on high, removed but curious, like a kid watching someone else fry ants with a magnifying glass. By the time this movie finished, John Carter and Dejah Thoris were my friends. I was with them, on Mars, feeling what they felt. I still can’t explain how it happened, and it is probably just me who felt that sort of connection. All I know is that John Carter had me caring for these two people as surely as if they were family. The supporting cast is extremely talented, even if some of them don’t get enough material — Bryan Cranston, Ciaran Hinds, Dominic West, Thomas Hayden Church, Mark Strong, and many others help show the unfathomable talent and love that went into producing this movie. 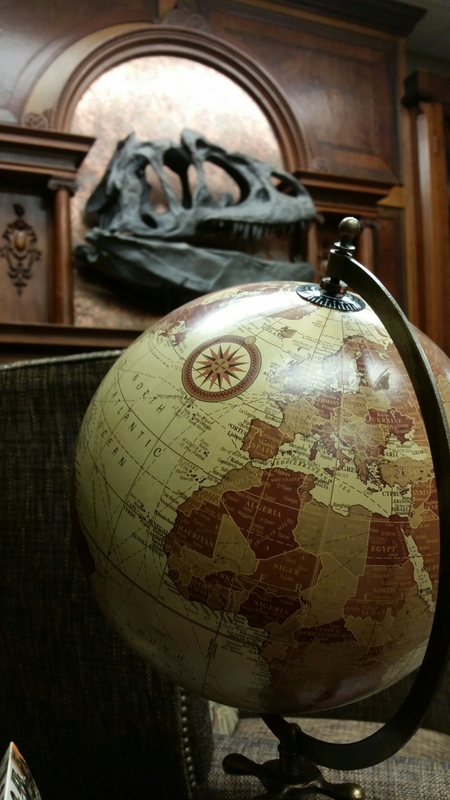 When it comes to spectacle, the special effects and musical score are unparalleled. CGI and the emotionally potent music are used to supplement the story and enhance its epic scope, instead of distracting from some inherent emptiness. Many people love to gripe, bemoan, scoff, whine, and otherwise complain about the state of Hollywood. And they have good reason. Superfluous reboots and unneeded sequels give the movie industry the vibe of a broken record, special effects and marketing campaigns repeatedly supplant great storytelling, and audiences are increasingly jaded and cynical. Then there is the rare film that obliterates your pessimism. A diamond among the veins of common rock. A film that effortlessly draws you in and shows that all is not lost, a film that “gets it right” — you feel that the movie lived up to its full potential and deserves to be treasured. You sense that it will be a part of you until the day you die. 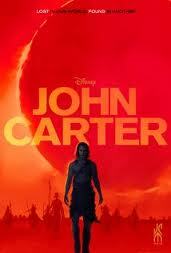 As far as I’m concerned, John Carter has accomplished that. I cannot remember the last time a movie captured my imagination so completely, or tugged so hard on my emotions, or left me with such an overpowering sense of triumph and optimism. True, it wasn’t very successful when it came out earlier this year. But neither were Firefly and Serenity. That Disney bungled the marketing and critics sneered at “another silly adventure film” shouldn’t matter. This film deserves to be given a chance. You might know the story by now, but just in case: the movie is based on Edgar Rice Burroughs’s John Carter of Mars novels, works of pulp science fiction that have ignited the imaginations of just about everyone from Steven Spielberg and Frank Frazetta to Arthur C. Clarke and Carl Sagan. The film revolves around a Civil War veteran who avoids human contact and prospects for gold, to try and forget a heartbreaking tragedy in his past. When he encounters an otherworldly being inside a cave, he is accidentally transported to the planet Mars, finding other humans, tall aliens, and all manner of high-stakes adventures. This is not only the Mars of Burroughs, but of Percival Lowell and H.G. Wells and Ray Bradbury, the romanticized Mars everyone wishes we discovered in the space age, with elegant civilizations that cling to life on a dying planet. John Carter arrives as a fish out of water who becomes a hero to these people, in the process regaining his humanity and a cause to fight for. When I finally got a chance to watch this film, I knew that it was something special. This isn’t just two hours of entertainment; it’s a blessing. Unpretentious, charming, full of genuine thrills and sympathetic characters, and timeless in the best way possible. 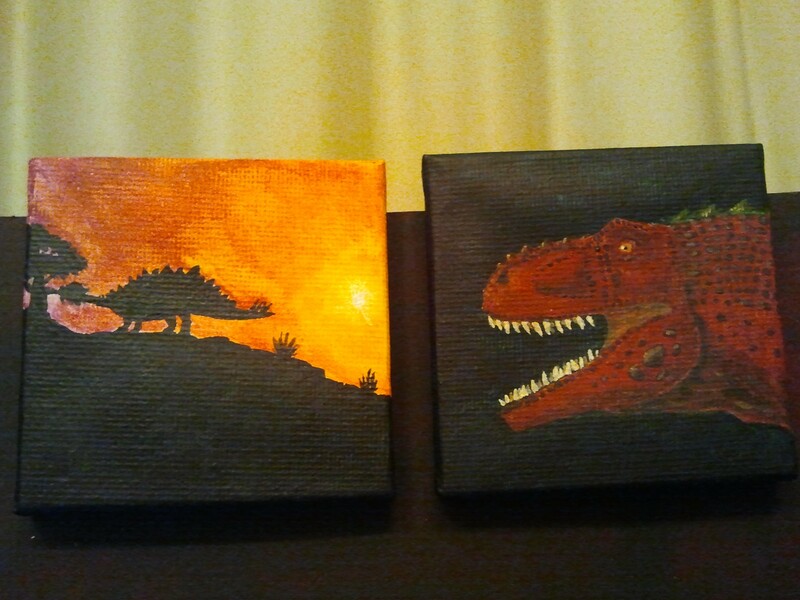 Only Jurassic Park and The Lord of the Rings have had a similar effect on me. Having only read partway through Burroughs’s first novel (A Princess of Mars), I can’t yet say how it stacks up against the source material, but this is one movie I know will stick with me for the rest of my life.